The electric vehicle battery is the crucial component in electric vehicles. It propels the vehicle’s engine and causes around 25 % of the vehicle’s overall costs. Unfortunately, due to deterioration, the battery’s use gradually restricts the vehicle’s driving range, acceleration, and charging speed over time. Only a battery replacement restores the vehicle’s performance. Despite its deterioration, the used battery can be repurposed to serve as a battery energy storage system in less demanding second-life application scenarios. Examples are home storage solutions for energy from photovoltaic panels or larger buffer storage solutions for stabilizing energy from wind parks or solar farms. With strongly increasing numbers of electric vehicles world-wide, some hundred thousand aged batteries can be assumed to be available soon. Considering the necessity for a reliable fit of the targeted second-life application scenario (as context) and the battery energy storage solution built from aged batteries (as form), the decision for which scenario a battery should be repurposed needs to be supported by information systems. 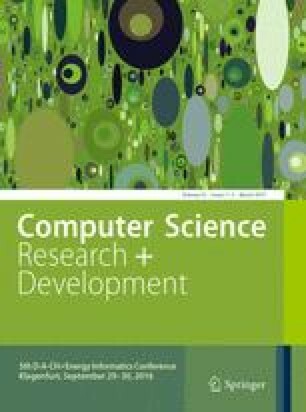 Since current research falls short of identifying and prioritizing the requirements that characterize second-life application scenarios, information system developers lack justificatory knowledge to guide and constrain the design of corresponding information systems. In an explorative multi-method study, we set out to identify the requirement categories and metrics that need to be elicited for repurposing batteries. The study (a) contributes a prioritized list of requirement categories and metrics for repurposing batteries, and (b) documents how they were instantiated respectively why they were important in an analyzed case. This article was written in the research project ‘EOL-IS’ (End-of-Life Solutions for Electric Vehicle Batteries—Development of Product Service Systems and Information Systems for Decision Support; funding label: 01FE13023) in the context of the funding program “Service Innovations for Electric Mobility” granted by the German Federal Ministry of Education and Research (BMBF). We thank the project management agency National Aeronautics and Space Research Centre of the Federal Republic of Germany (DLR) for their support.